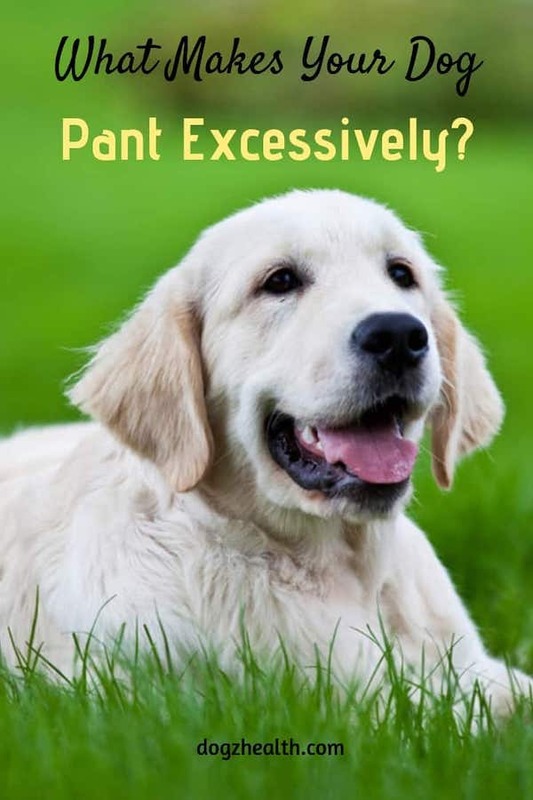 Excessive Panting in Dogs | What Are Some Causes of Dog Panting? Excessive panting in dogs can be a symptom of some underlying health issues. Acute conditions may include heat stroke or injuries causing pain. Chronic conditions include heart diseases. A healthy dog, when resting, takes about 10 to 30 breaths per minute. 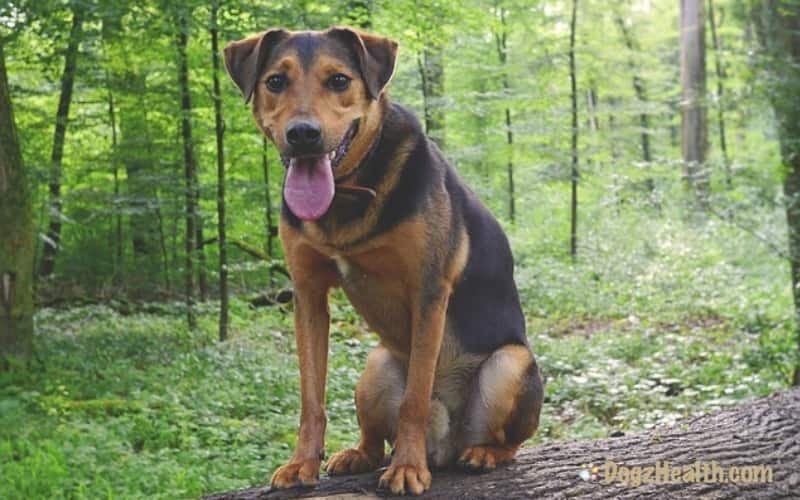 Dogs pant when they need to lower their body temperature – dogs do not have sweat glands on their skin, and in order to cool themselves down, they stick out their tongues and pant. Water evaporates from the tongue, the mouth, and the lungs, and warm air in the body is exchanged for cooler air in the atmosphere. It is normal for dogs to pant especially after exercise, or on a hot day. On the other hand, excessive panting as well as rapid labored breathing in dogs is not normal. For example, if your dog pants heavily while at rest, or pants excessively for a prolonged period of time after exercising, you need to take a closer look at his health. You may want to consult with your vet to find out the underlying cause. 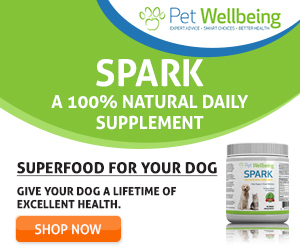 The bottom line is, in the absence of any stimulation such as strenuous exercise or heat, a change in the frequency or intensity of panting in your dog indicates something is wrong. When a dog is in pain, he will most likely pant, and maybe even shake. If a dog has an acute pain in his stomach, he pants and drools. He will also show signs of distress and restlessness – he seems unable to find a comfortable position to lie down. He will cry out in pain if you press on his stomach. Various health issues can cause acute stomach pain, such as bloating, poisoning, trauma and internal injuries to the abdomen, peritonitis (inflammation of the cavity containing the abdominal organs), to name a few. Of course, other diseases can also cause pain in other parts of the dog’s body. For example, arthritis can cause joint pain, brain tumors can cause headaches, ear infections can cause earaches, skin issues such as hot spots, skin ulcers and abscesses can also cause extreme pain. Some of these conditions are serious and potentially life-threatening, so it is important to try to find out if the excessive panting is caused by pain, and if so, the cause of pain. Heat stroke is a common cause for dogs to pant excessively. If your dog has been out in the sun for a long time, and he starts panting and drooling, he may be suffering from heat stroke, which is potentially life-threatening. Other symptoms associated with heat stroke include thick saliva, vomiting, and a bright red tongue. The rectal temperature can go up to 104°F to 110°F. Heat stroke is an emergency and requires immediate veterinary treatment. Some dogs may pant excessively when they have anxiety or are under stress. For example, you may notice that your dog pants more frequently and excessively the first few days after moving to a new environment, or when your new puppy first joins your family. If the panting stops after a couple of days, all is well and fine, but if the excessive panting does not stop in a few days, get the dog to the vet for a check-up. Heartworm is caused by the parasite Dirofilaria immitis transmitted by mosquitoes. The typical signs of heartworm infestation are exercise intolerance, a soft, deep cough, weight loss, and panting. Since heartworm infestation can cause serious health issues to dogs, a heartworm prevention program is necessary if you live in a place where there are mosquitoes. If you suspect that your dog has heartworms, which are causing him excessive panting, see a vet immediately for treatment. Dogs suffering from severe anemia also pant, even when resting. Anemia is defined as a deficiency of red blood cells in the circulatory system. It can be caused by blood loss (e.g. due to an injury, or worm infestation), hemolysis (an acceleration in the normal process of red blood cell breakdown), or inadequate red blood cell production. Other signs of anemia include lethargy, weakness, and lack of appetite. The gums and tongue are pale pink or white. In severe cases of anemia, the dog pants, has a rapid weak pulse, and may collapse with exertion. Dogs with heart disease, such as dilated cardiomyopathy (enlargement of the heart chambers), cardiac arrhythmias, and congestive heart failure, pant and have rapid labored breathing. Other signs of heart disease include lethargy and weakness, coughing, exercise intolerance, and sometimes fainting spells. Excessive panting in older dogs, especially if the panting occurs at nighttime, may indicate congestive heart failure (CHF). Eclampsia (milk fever) is a condition that resembles seizure and is the result of low serum calcium. It occurs in dams two to four weeks postpartum. Usually, small toy breeds are more likely to have this condition. Besides heavy panting, other signs of eclampsia include restlessness, anxiety, uncoordinated movement, and pale mucus membranes. If your dog has recently given birth to puppies and is panting excessively, beware – eclampsia is an emergency and should be treated immediately. As you can see, there are many possible causes for a dog to suddenly start panting excessively. Some of the causes are quite serious and could be life-threatening if no action is taken. Observe your dog carefully if he pants, and try to look for other sickness symptoms. If you cannot find out what causes the panting, and if it persists, a visit to the vet is necessary.